Quick Morning Routine & 20% off Jose Eber! A conversation at work a couple of weeks ago led me to film this video. We were talking about how long it took us to get ready each morning before work. The men replied smugly with the predictable answer of “10 minutes”, and when I responded with half an hour, nobody believed me! This half an hour includes having a shower, cleansing my face, doing my make up and curling my hair. According to my colleagues, no way would I be able to fit all this in only 30 minutes. But they were wrong! 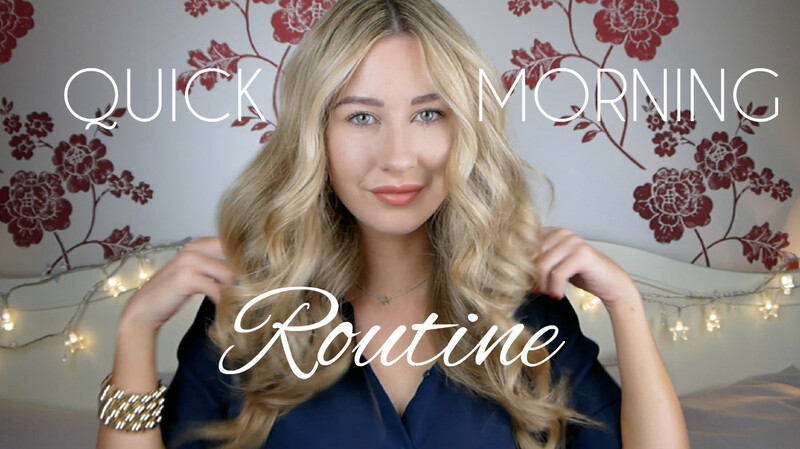 So, I decided to film this video to show my make up and hair routine each morning. The video has been sped up to fit it all under 7 minutes, but in total this takes me under 20 minutes. All the make up products used are listed in the description box of the video which you can view by clicking here. I wash my hair in the evening, towel dry, apply Argan Oil and put it up in a bun before bed. In the morning, I blast dry it with the Jose Eber Infrared Blowdryer which dries it extra fast with no damage to my hair. For my curls, I use the Jose Eber curling wand and switch between the 25mm and 32mm sizes. I’m using the 25mm size above as it creates tighter curls that last longer in this windy, rubbish weather we’re experiencing at the moment! Each curl only has to be held for 5 seconds, meaning it only takes around 7 minutes to achieve a full head of big bouncy curls! Jose Eber are currently offering 20% off everything on their UK website, simply visit their website here and enter code “SHEGOESWEAR” at checkout! We're slowly making our way into Autumn, and although I've finally come to terms with the fact Summer is over and actually feel excited for the cosiness of the colder months, I still struggle with transitioning my wardrobe.